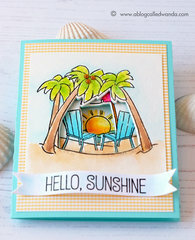 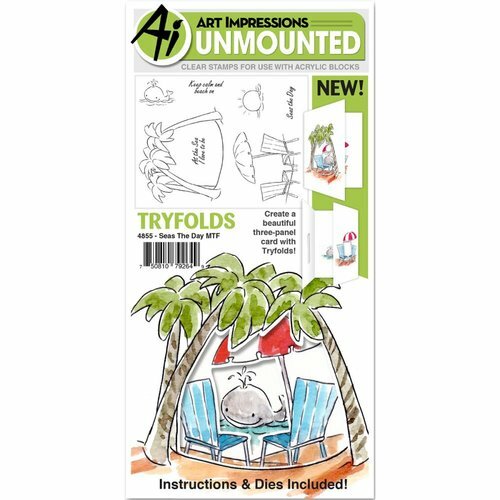 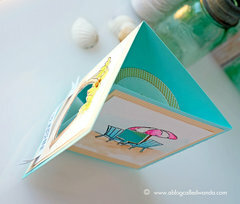 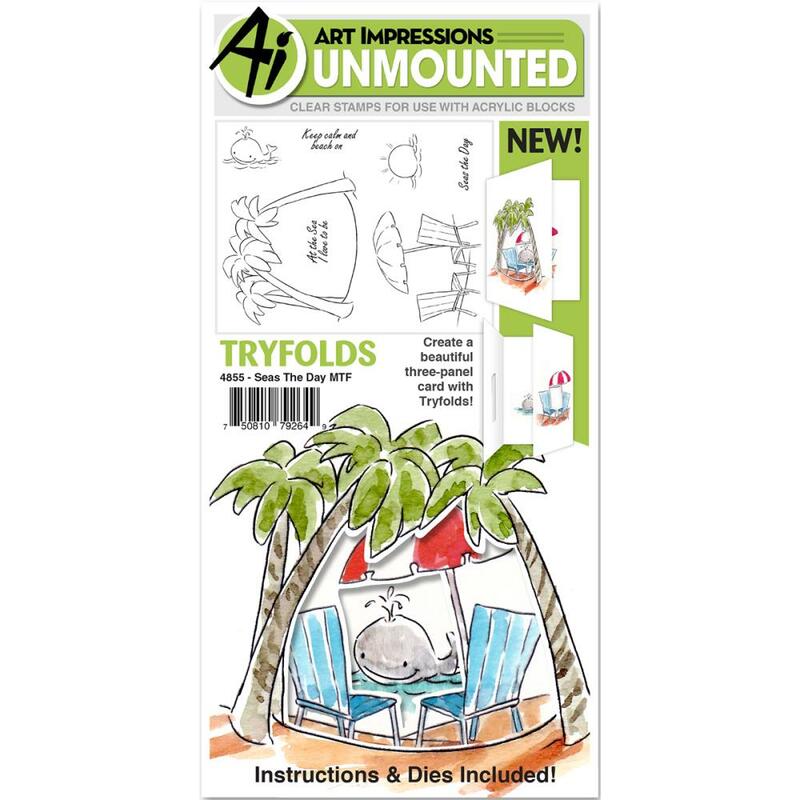 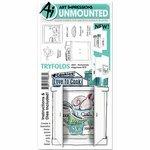 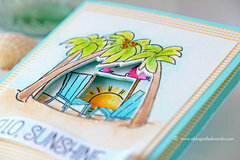 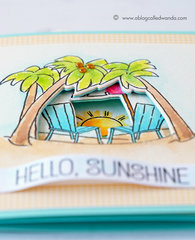 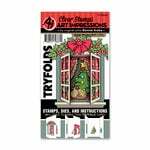 Create a tropical three panel card with the Seas the Day Unmounted Rubber Stamp and Die Set from the Mini Tryfolds Collection by Art Impressions! 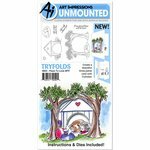 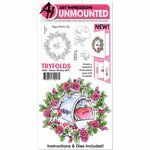 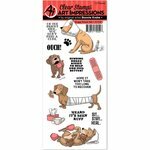 The package includes seven clear stamps and two thin metal dies that are compatible with most die cutting machines sold separately. 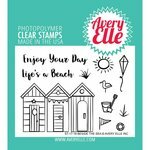 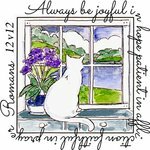 The stamps can be used with your favorite inks and an acrylic block all sold separately and measure 1" x .325" to 2.5" x 2.5". 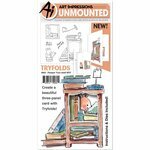 The dies measure 1" x .75" and 1.75" x 1.5".